This brief video shows how to use a bead board to design beaded jewelry. Connie tells about her latest WIPs along with a new wrinkle that her craft lamp has thrown into her stitching plans. 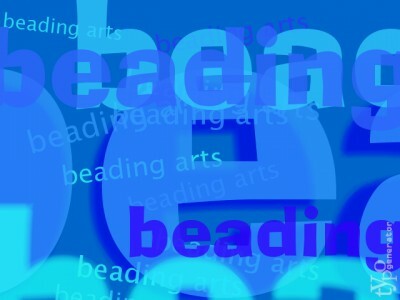 Check out Mary's round up of books covering the history of beads - fascinating stuff!! Eileen created hers to organize paint brushes and foam pouncers. But decoupage glass vase organizers can be put to many uses. Use the cubes as candy dishes or to hold pens and pencils.